Company: Indian Oil Corporation Ltd. The Chennai-Bangalore Pipeline (CBPL) has been constructed by the Indian Oil Corporation Ltd. (IOCL) to ensure uninterrupted, reliable, and economical transportation of petroleum products to meet the growing demand in and around the city of Bangalore, India. The pipeline originates at Chennai Petroleum Corporation's Manali refinery near Chennai, passes through Chittoor in Andhra Pradesh, and terminates at IOCL's Devanagonthi terminal on the outskirts of Bangalore. Completed three months ahead of schedule, this 290-km underground pipeline has one booster pump and three main line pumps, and can transport 1.45 million tons of products per year. IOCL selected Yokogawa's FAST/TOOLS SCADA system to provide integrated and centralized monitoring and control of pipeline operations from the Chennai station. 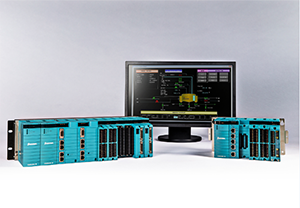 The principal elements in this solution are STARDOM intelligent remote terminal units (RTUs), the FAST/TOOLS SCADA package, and a fiber optic telemetry system. As a backup for monitoring and control communications, a redundant leased line links the Chennai and Bangalore stations. A pipeline leak detection system (LDS) was also installed and commissioned. To achieve a centralized control and monitoring function, servers located in the Chennai and Bangalore stations are linked with each other. Chennai is the master station and is able to control the Bangalore station remotely with the authorization of the Bangalore terminal operator. 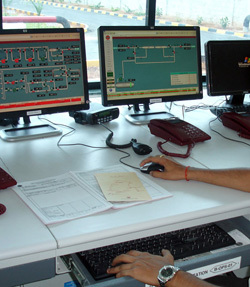 SCADA operator stations at the Bangalore terminal are capable of displaying status information from the Chennai station. The SCADA servers at the Chennai station are linked to the LDS for real-time display of information on leaks detected in the pipeline. High-priority alerts and other data are exchanged in real time between the LDS and the SCADA servers when leaks are detected. IOCL offices all over India are able to monitor the pipeline on the company intranet. Once per minute, the SCADA servers at Chennai populate the IOCL intranet server database and a web application displays this real-time pipeline status information. This gives IOCL personnel a clear view of pipeline operations. In this way, STARDOM facilitates the total visualization of data needed for safe and reliable pipeline operations. 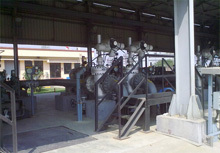 One of manager in the pipelines division- Chennai said, "At all the main stations and RCPs, Yokogawa India completed the turnkey package of supply, installation, testing, and commissioning of the Yokogawa STARDOM RTUs and FAST/TOOLS SCADA, measuring and testing equipment, a field instruments package that included a UPS and energy solution pipeline application software (PAS) and an LDS package, and the interface to the IOCL intranet. The entire project including detailed design, manufacturing, integration testing at the factory, installation, and commissioning was completed ahead of schedule. 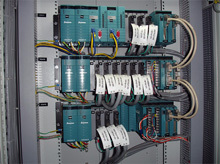 Yokogawa completed the CBPL project on time and achieved excellent customer satisfaction, and application development."